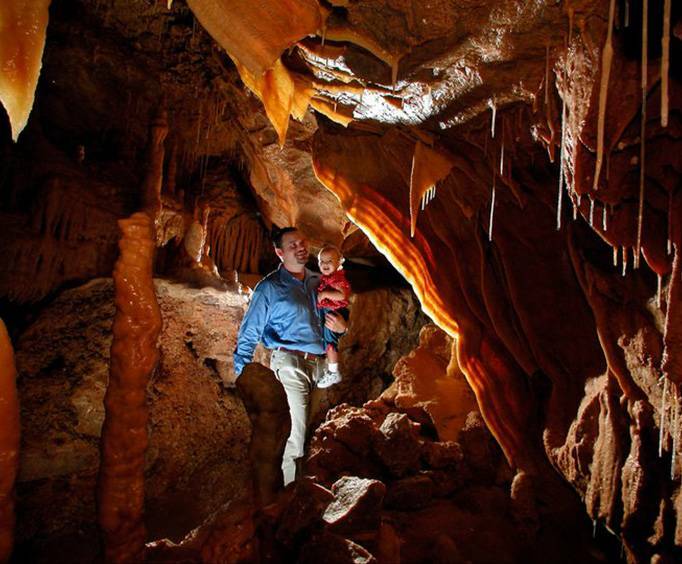 Come see the magnificent beauty that is Natural Bridges Caverns, 180 feet below ground! These exquisite caves are only a mere 30 minutes from downtown San Antonio and are the largest in the entire state of Texas. In this 75-minute walking tour, you will be led through almost a mile of natural cavernous beauty by a knowledgeable tour guide. Your tour guide will take you through room after room of natural beauty and breathtaking ancient formations. The Natural Bridge and Caverns are known for their uniqueness as well as the unusual sizes of some of the stalagmites, flow stones, chandeliers, stalactites, and soda straws in the caves. Each of the ancient, beautiful rock formations are still growing today. The tour allows picture-taking so bring your cameras to capture what you wouldn't be able to explain in words. You have to see it to believe it. 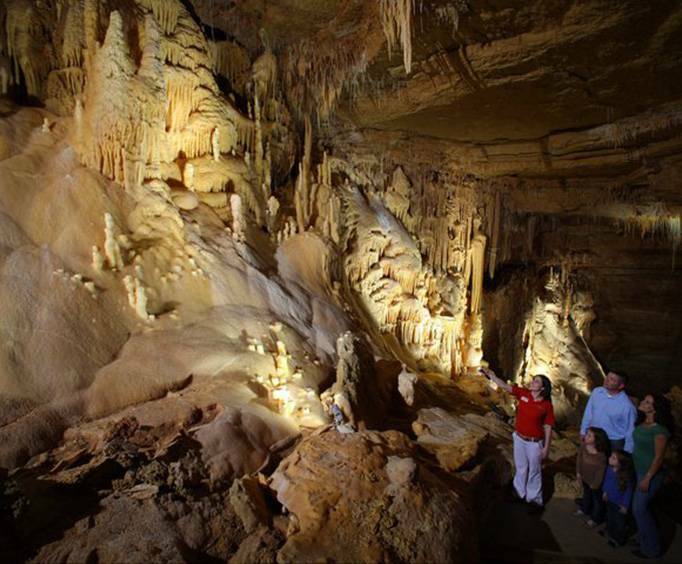 The caverns in this tour are generally about 70 degrees and also includes one flight of stairs containing 35 steps as well as a few steps located throughout other areas of the tour, so make sure you are prepared for the conditions. Tours leave every 40 minutes or less. A long day of exploring the San Antonio Natural Caverns, maze-running, and testing your athleticism on the Canopy Challenge you will be sure to have worked up an appetite. Check out Big Daddy's Sweets, Treats and Brew for ice cream, coffee, fresh-squeezed lemonade, taffy, soda, alcoholic beverages, barbecue sandwiches, candy, and more! Don't forget a souvenir! At the Discovery Village Mining Co. you don't have to worry about 'mining your own business,' but you and a friend can pan gold all while looking for various gems and minerals, keeping whatever you find at a small price! 'Pan' a trip to these caverns for a fun-filled, family adventure. In 1960, four college students discovered two miles of cavernous area under the 60-foot limestone bridge while roaming some previously known passages. Since then, millions of people have come to see the majestic beauty sometimes referred to as National Bridge Caverns. The caverns are appropriately located on Natural Bridge Caverns Road, about 30 miles northeast of San Antonio. 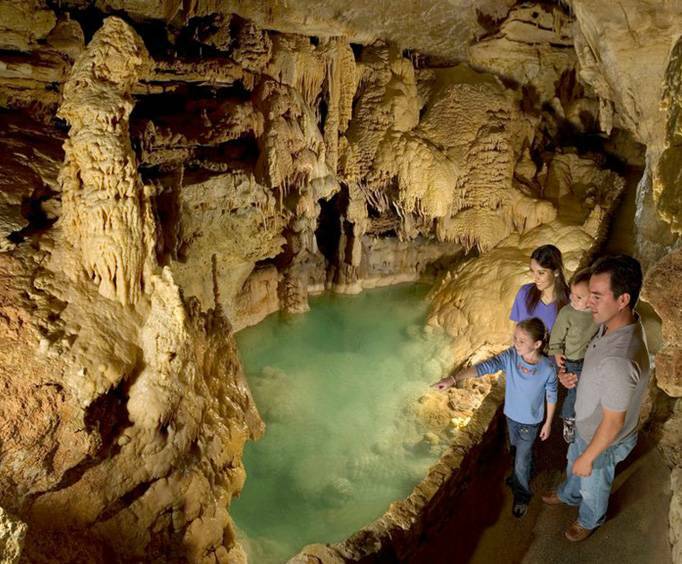 If you're visiting Texas, the Natural Bridge Caverns San Antonio Texas − also referred to as National Bridge Caverns San Antonio − are an incredible must-see for the whole family. So take some time to explore the underground world of Texas' largest cavern that has been christened a Jewel in the Crown of Texas attractions and a National Natural Landmark! At first we only went here because my kids begged us to go, but we ended up having a wonderful time. The cave is so beautiful and there was tons to learn. It was definitely worth the trip! Superb, if some one has not seen these caves they are missing one of the rare beauties of the earth. We were happy to be part of the discovery tour and to see the caverns that were over 100 years old... Our guide was very helpful and knowledgeable of the caverns history. Loved it!! Awesome sights, great tour guide.